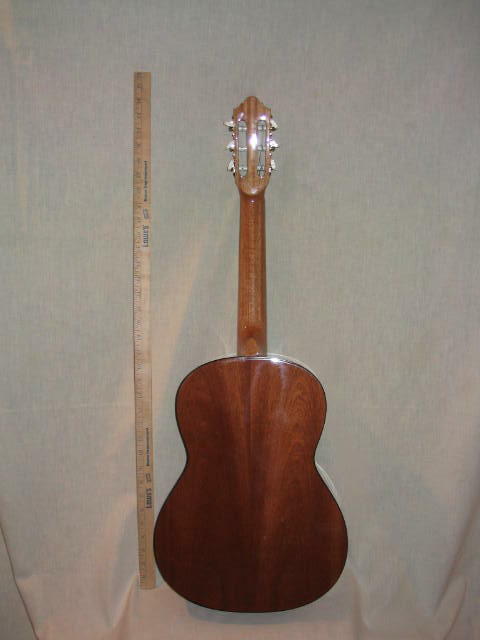 Laminated spruce top, mahogany back and sides. 572 mm. scale. Padded carrying bag with backpack straps included. 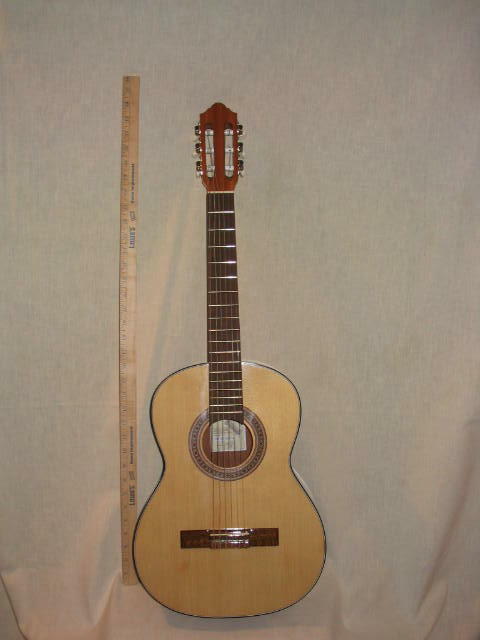 These guitars are properly proportioned for children and have been recommended for our own students by our Suzuki registered instructor for manyyears. All instruments are adjusted and set up by our technician before they go on display. Made in the Czech Republic.